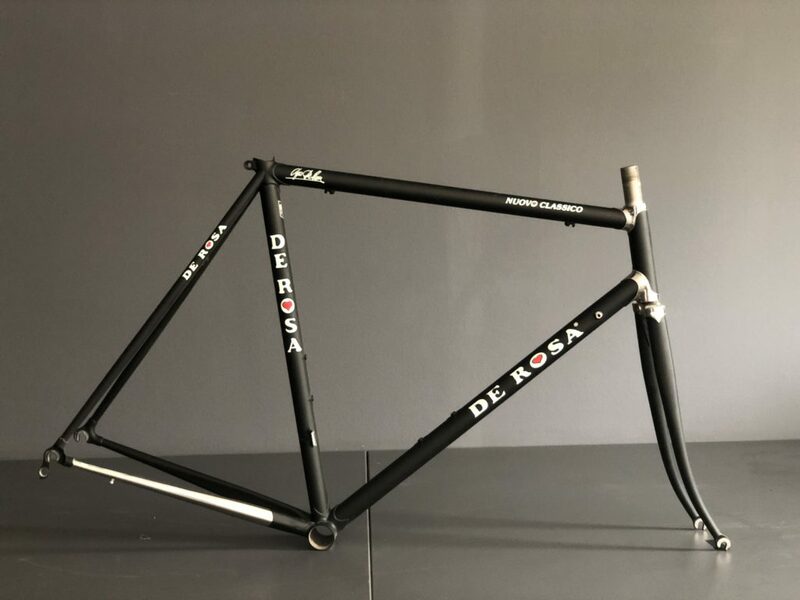 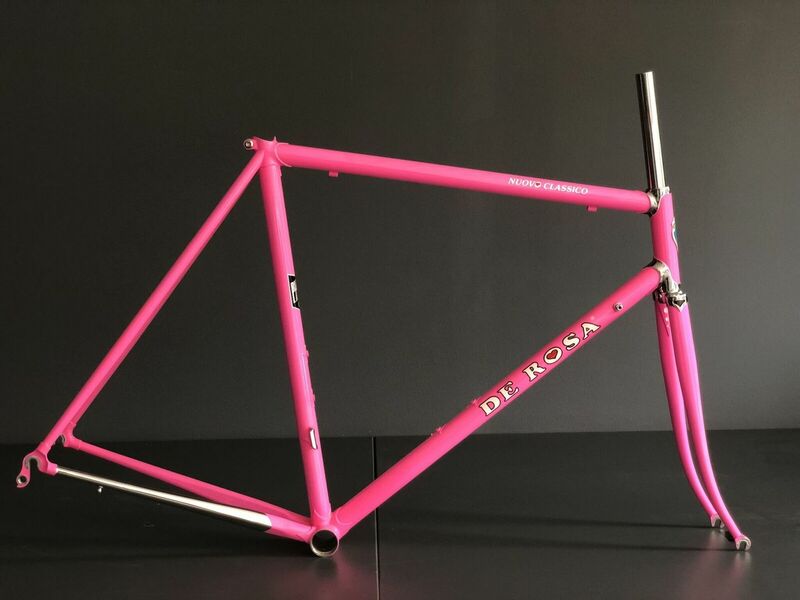 We are offering you the opportunity to purchase these De Rosa Nuovo Classico frames at a heavily discounted price. 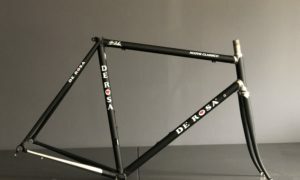 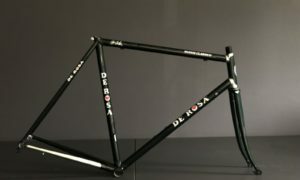 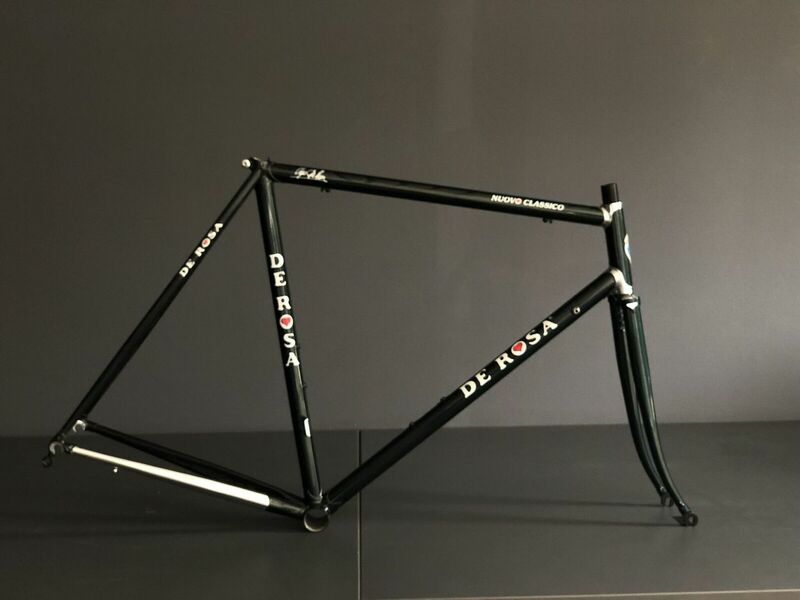 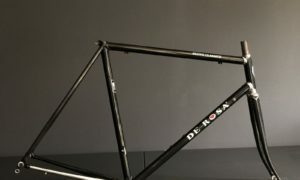 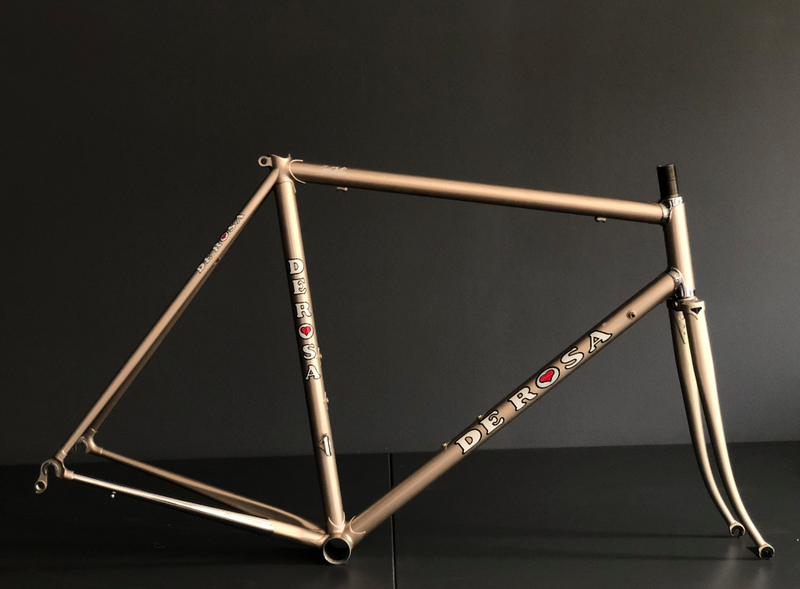 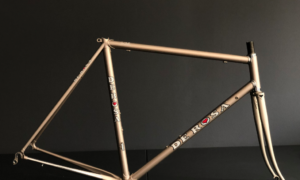 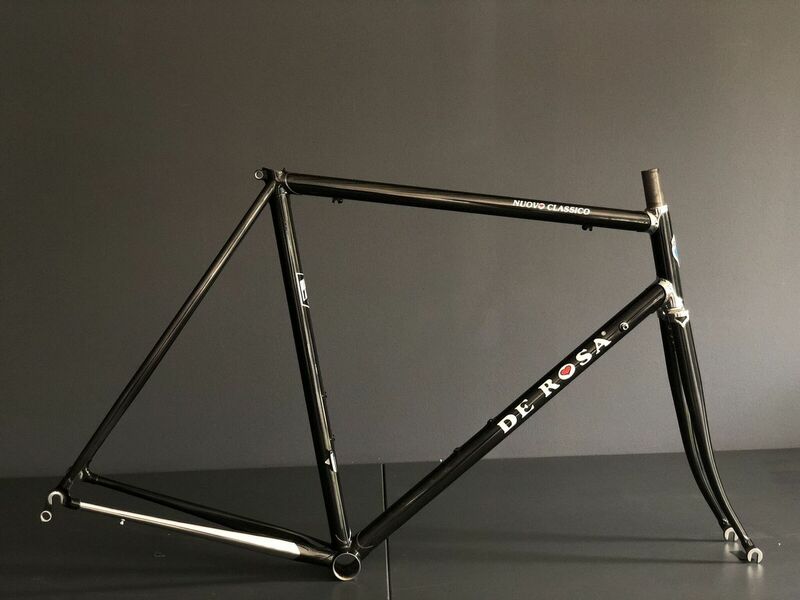 Frames built between 2016 and 2018, made for display in the De Rosa showrooms and never built up with components or used. 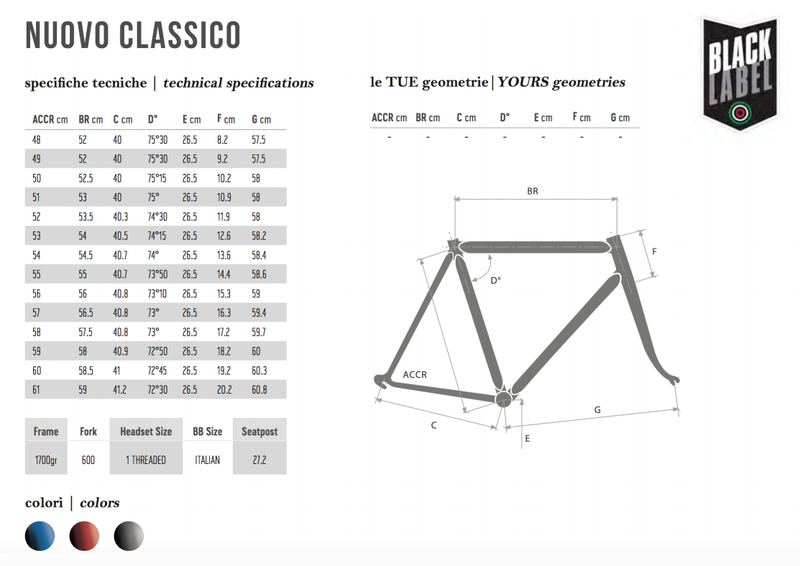 Below you can check the geometry chart. 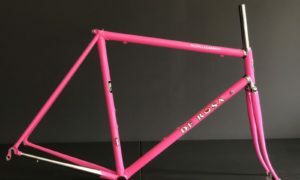 The frame is covered by a 2 year warranty and will be supplied with a 1″ threadless or thread fork (depend on the model).